GB Access Platforms Ltd offers IPAF training at our in house training centre using our accredited instructors. We also offer our training services on-site or at our customers’ premises. All courses are IPAF accredited and provide delegates with a license valid for 5 years. Why I need to provide training for my staff? The Health & Safety at work act 1974 places a duty on the employer to provide an adequate level of training to allow employees to operate equipment safely and competently. 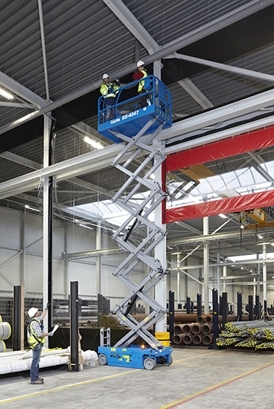 All courses conducted by GB Access Platforms Ltd enable your company to comply with this requirement. To discuss your IPAF training needs, just call us on 01933 270011.